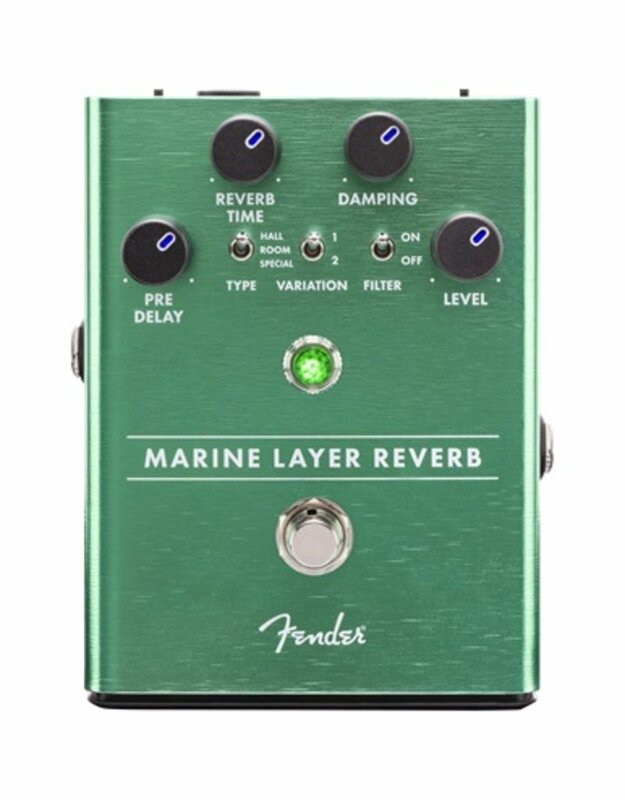 Designed by Fender's in-house team of experts, the Marine Layer Reverb is an all-original circuit. We consulted with a plethora of players while designing this pedal, and the resulting stompbox is packed with stage-ready features. 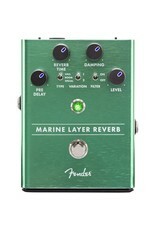 The chassis is crafted from lightweight, durable anodized aluminium, and the Amp Jewel LED gives your pedalboard the classic Fender look. The LED-backlit knobs show your control settings on a dark stage at a glance. We even made swapping batteries quicker and easier with our exclusive “patent applied for”, magnetically latched 9V battery door.